An international reminder of the man who sought unity, peace, and freedom above all else, Mandela Day presents an opportunity for citizens of South Africa to forgo their personal agendas and assist those in need. Since the introduction of this yearly celebration of service and charity on July 18th, 2009, impoverished communities across the globe have benefitted greatly from the efforts of those who have been challenged by Nelson Mandela’s call to “make the world a better place”. A central theme of Mandela Day is the furthering of global peace and freedom through the great impact of small, positive steps taken by countless people and international communities. Although united by a similar goal, the efforts of organisations across South Africa vary depending on the unique services and specialisations they offer. Among the most consequential and potentially beneficial of these services are those which strive to implement appropriate nutritional education and advice. At The Noakes Foundation, we see it as our responsibility to promote scientifically proven, healthy LCHF diets no matter the tension or controversy generated by such dietary advice. For those at The Noakes Foundation, Mandela Day is an encouragement to remain steadfast in the belief that the truth is not always correlated with popular opinion. The unwavering and continuous promotion of the LCHF diet is inspired by the prevalence of those who have been misguided by commonly accepted dietary advice. Increased carbohydrate intake as encouraged by current guidelines invokes a simple biological response which is ultimately detrimental to those with insulin resistance. Those predisposed to this alarmingly prevalent metabolic condition become increasingly impervious to the effects of insulin as it is secreted in response to carbohydrate consumption. Increased insulin resistance has been linked to multiple adverse health outcomes including Type II Diabetes, hypertension, and cardiovascular disease. Despite this inherent, biological response to carbohydrates, dietary guidelines in South Africa advocating for a healthy diet continue to encourage high carbohydrate and low fat diets. The Noakes Foundation considers the promotion of scientifically proven, healthy LCHF diets to be a crucial step towards the betterment of communities in South Africa and around the world. It is imperative that this effort extends far beyond the limited twenty-four-hour period which defines Mandela Day. This is a daily commitment which requires a continuous, persevering investment of time, resources, and hard work. 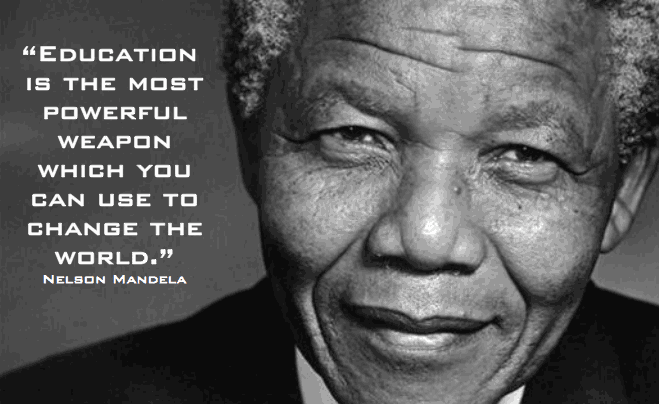 Mandela Day is just as much a day of thoughtful reflection as it is a day of charitable action. This annual celebration of good deeds and selflessness presents an opportunity for organisations such as The Noakes Foundation to assess the daily, sustainable steps being taken towards the implementation of positive transformation. Initiatives such as the Eat Better South Africa! community interventions involve the introduction of life-changing nutritional education and require ongoing support through a pre-existing network of local leaders who embody the LCHF lifestyle. Positive change is delayed without the involvement of respected community figures who generate interest and spread awareness of the grave consequences that improper diets can have on an individual’s health. Sylvia Scholtz, a member of the Atlantis community, has been instrumental in the success of past nutrition interventions. Her acceptance of the LCHF lifestyle coupled with the respect she receives from many within the community have eased EBSA’s efforts to gain program traction and participation. She is currently The Noakes Foundation’s answer to questions surrounding the development of a sustained nutrition revolution in the Western Cape community. Without her assistance and ability to foster sustainability, the Atlantis community intervention would be only as impactful as a single day of service, or a few hours of community work. With the continuous effort of community members like Sylvia, The Noakes Foundation effects a sustainable and positive, Mandela Day transformation for those in need, every day. Amod A, Motala A, Levitt N, Berg J, Young M, Grobler N, et al. The 2012 SEMDSA Guideline for the Management of Type 2 Diabetes. Reaven, Gerald M. Role of Insulin Resistance in Human Disease. Diabetes. Dec 1988, 37 (12) 1595-1607. Jonathan is a senior Biochem major at Clemson University and his focus is in public health – he is currently interning at The Noakes Foundation and is a key member of the Eat Better South Africa team. He is also facilitating a pilot study the Foundation is currently running.